The Sony SA-W2500 is a perfect example of the product provided by one of the world-leading companies. This is a perfect combination of high reliability and total power output. 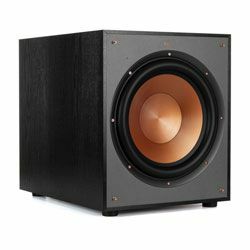 This is an impeccable solution when you need an amazing subwoofer and you want to enjoy the true quality of music or audio. This is a super reliable model which has an extremely durable construction. This model was designed and built using numerous technologies to make sure the output sound is clear. This Sony SA-W2500 review should help people who look for a great subwoofer. The Sony SA-W2500 is a truly modern solution with the modern front-firing design. The 10-inch front driver delivers a lot of clean bass power. The driver is a Mica reinforced solution, which allows use the high rate of power without damaging the driver and get the deep bass sound. 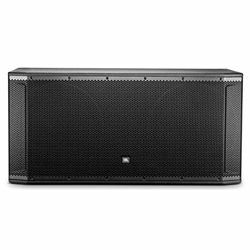 The design features side mounted enclosure and various connectors that allow you easily integrate this subwoofer into your speaker's setup. At the same time, the connectors are well-made, which helps to reduce or completely exclude any noise that may come from the subwoofer output. This solution features magnetic shielding technology, which allows you to place this subwoofer wherever you want without being afraid of damaging other devices like mobile phones, TVs, receivers, etc. The body is made of MDF, which guarantees the high level of the construction rigidity, it has a nice wood finish. There is a port on the back panel which helps to reduce vibration or exclude any unnecessary noise. The back panel features all the ports you need and the dials to tweak various parameters. This model features a nice small button with a LED on the front panel that shows if the subwoofer is turned on. The Sony SA-W2500 specs prove it to be a great option for people who value quality. It is a 100-watt amplifier subwoofer. To provide you with deep and clear output sound, Sony has used the motion feedback technology. The frequency response range is from 28 Hz to 200 Hz, while the impedance is 6 Ohms, 80Hz. it helps to achieve the natural output bass sound without any noise or distortion. It also makes this model be compatible with various setups. 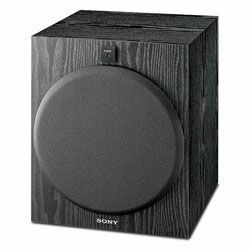 The Sony SA-W2500 allows you to control numerous parameters, like the cut-off frequency that allows you to perfectly blend the subwoofer with other speakers you use. This model also has the phase switch. This model also features the volume dial. This model features the Line in jacks and the Speaker In terminals. 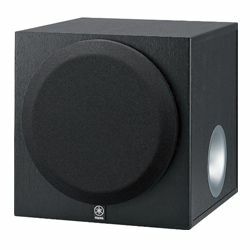 The customers who use this subwoofer are satisfied with the sound this subwoofer outputs. Many customers claim that it outputs the rich, natural bass sound and it is a great option whether you are going to use it listening to music or watching films. This model is highly-compatible and it works perfectly with speakers from different manufacturers (like Bose). Nevertheless, some customers recommend to turn off the auto-power saving feature. Some customers also state that this is a great choice only if you have a small area that you need to fill with the deep sound, and some customers recommend getting an extra unit even if you use it in the basement. The customers who bought this model are quite happy with it. Many customers claim that the SA-W2500 setup process is fast – you can connect everything quickly, even if you have no experience with this kind of devices. Moreover, it comes with a very detailed step-by-step instruction. It has various ports so you can always connect it with your setup. This subwoofer has various dials that allow change various Sony SA-W2500 settings and blend this model with your setup. Customers also get no noise, since the ports assure a perfect connection. The Sony SA-W2500 is a great solution when you need a reliable model that outputs the natural bass sound. However, it is an option if you do not need to fill a large room with sound. Many customers state that this model is a perfect combination of the traditional Sony quality and the price (this model will cost you around $90). Plus, this model is compatible with various speakers and it may become an integral part of your audio setup. 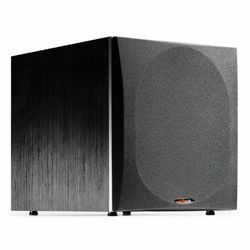 Therefore, it is a great option if you need a reliable subwoofer for a small room.